A beautiful and stunning Victorian Townhouse ideally situated in Glasgow. 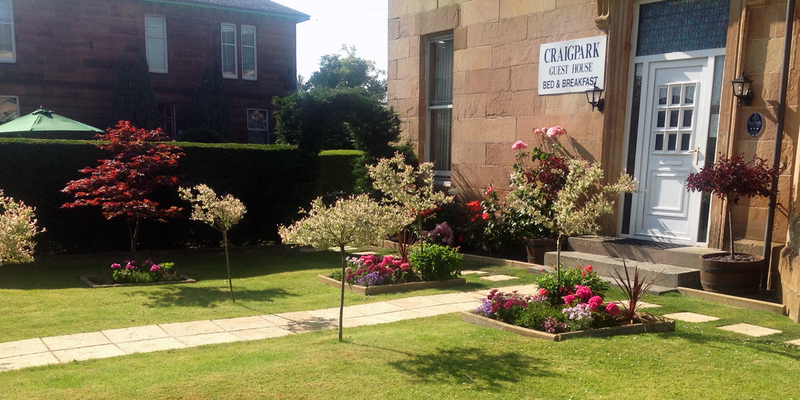 Craigpart Guest House is ideally situated in the quiet Dennistoun Conservation Area, just one and a half miles from the city centre and close to Glasgow Cathedral. We are only one minute from Junction 15 of the M8 Motorway. The guest house offers warm, comfortable accommodation with all rooms offering a pleasant outlook over the well kept south facing gardens. It also provides a residents garden and ample private car parking. Copyright © 2019 Craigpark Guest House. All Rights Reserved.